Hyundai forayed into the world of luxury with its Genesis division and while you might think it's still new to the game, the company thinks otherwise. The Korean manufacturer released a teaser for a new concept car which is set to be unveiled next week at the 2016 New York Auto Show. Hyundai calls it the 'New York Concept' and like all concepts, the company says that the car will serve as an indication of the future design language that is set to be implemented by Genesis. The vehicle is billed as being a 'four-door sports sedan' with an 'athletic elegance'. From where we stand, the vehicle that will be unveiled at the Auto Show will most likely give us a glimpse into the company's BMW 3 Series rival. We will be able to see the car in the flesh on March 23, 2016 which is when we will know what the car is all about. What we'll also know is that if it will see the light of day when it comes to production. 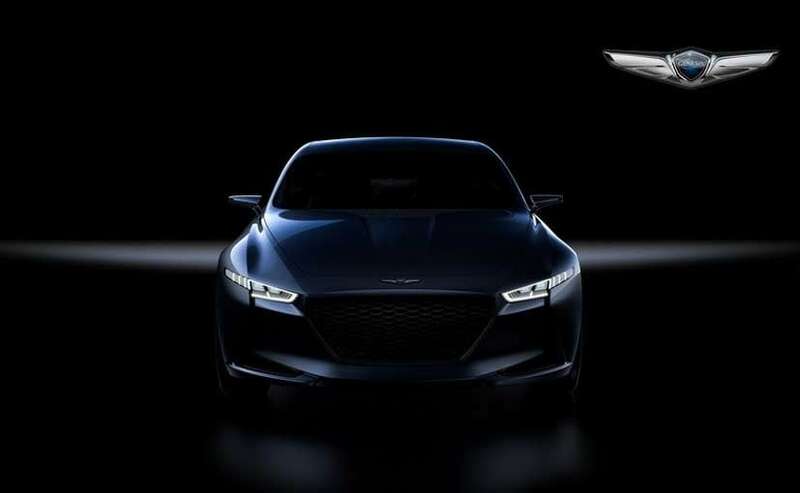 The car will likely be the third in the Genesis family and since we already have the G90 and G80, this one could probably be called the G70.